Lemme' share a new eyeliner find. You know how much I like Fashion 21 Eyeliner gals but I never stop in looking for cheap finds. Yay and so you know how hard it is to find a type of pencil eyeliner which won't leave you like a raccoon at the end of the day. 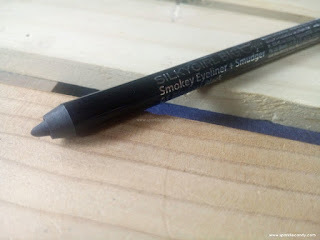 I checked out Silkygirl and found their Big Eye Smokey Eyeliner + Smudger on sale. An eyeliner with a built-in smudger that is packed with a formula that gives a velvety, intense color to create stunning and dramatic smoky-eye. With its waterproof formula, you can be sure that you won’t end up with panda eyes. It also comes with colors that lasts to 12 hours. 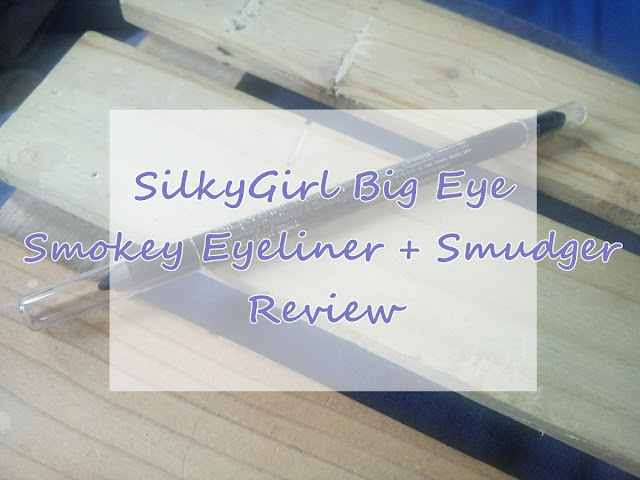 SilkyGirl Big Eye is a typical pencil eye liner with a handy smudger on the other end. It says to be made in Germany. I've wanted to try this liner ever since I've seen it in Silkygirl kiosk. I will review it based on its product function, so shall we? * Built in smudger - yay I am not a big fan of smokey eye but this is a possibility. * Last to 12 hours - yes! It is long lasting. I put on the morning and it last till evening. There are product fall outs but I do not look like a racoon. However it still depends on how you apply it because one time I apply it on a not-so matte lids and it kinda smeared. * Waterproof - yes. 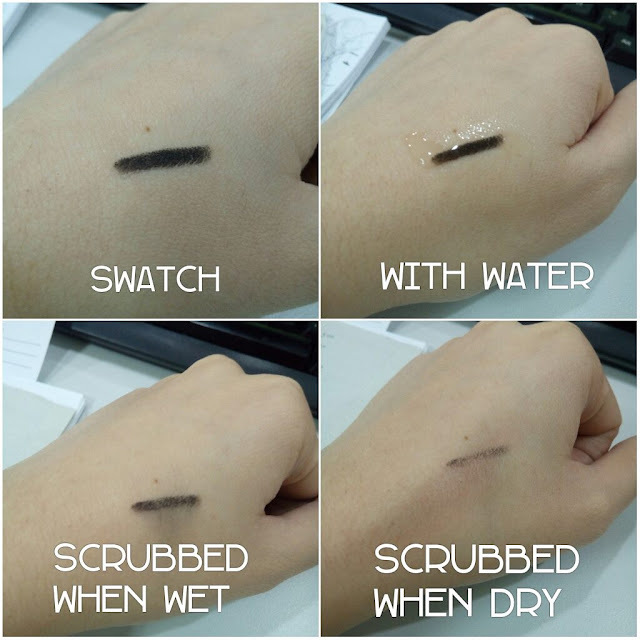 Its waterproof but not rubbed when wet. Tried rubbing it when its dry and it is still there. For the waterline, well its not so good but that is pretty normal to me. I guess any product that will stay perfect on my waterline will be a product with some sort of magic. *Velvety & intense color -impressive black color payoff with no shimmers. No tugging with this pencil eye liner. 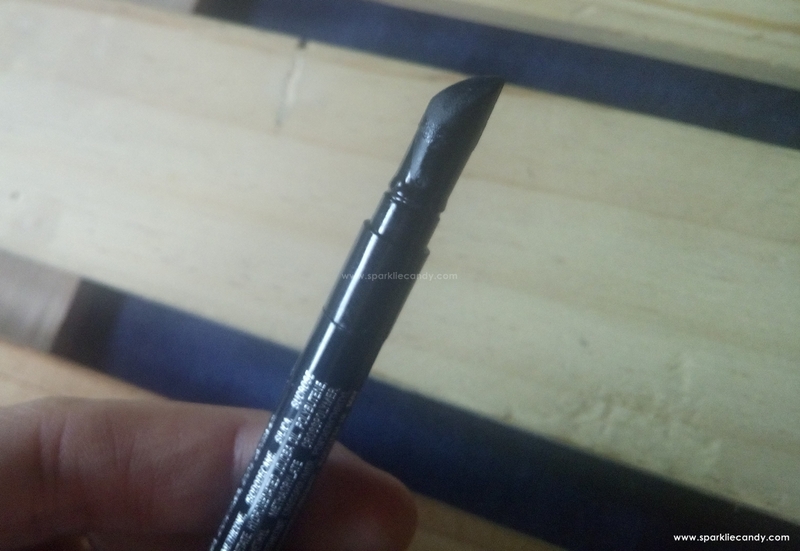 Consistency is similar to gel liner, only in pencil form. Its P199 but I got it on sale for P100. Make sure your lids is matte when you apply it on. 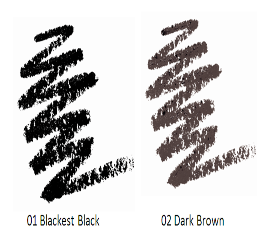 A functioning waterproof pencil eye liner with no tugging, consistency similar to gel liners and lasts the whole day. I love Silkygirl and its a pretty decent pencil for the sale price. For normal price days I am buying the retractable version because its cheaper.